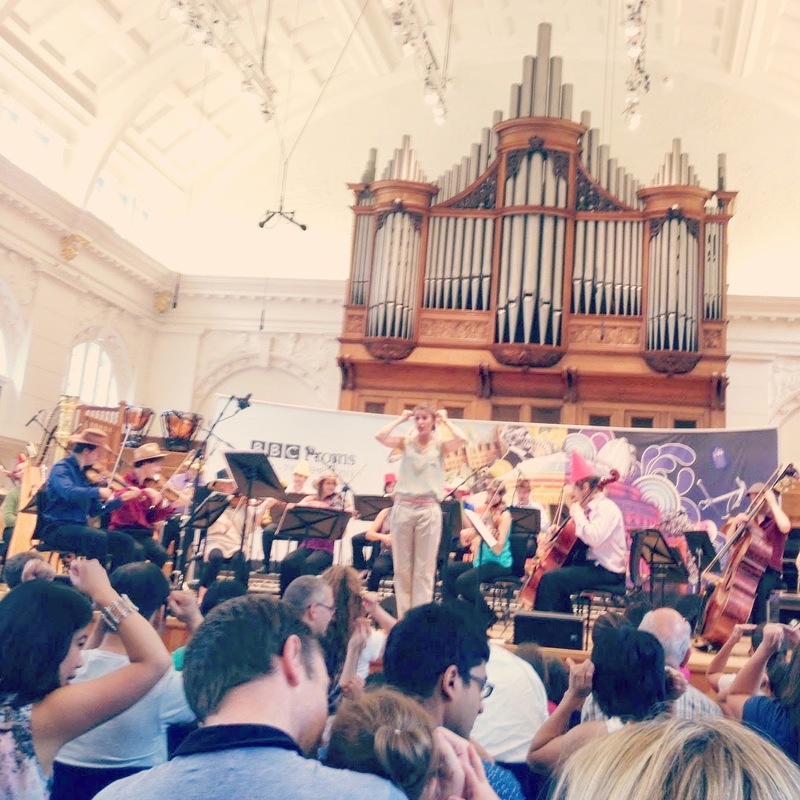 The BBC Proms; like Wimbledon, Royal Ascot, and the Chelsea Flower Show, is a quintessential British summer tradition which locals and tourists alike should attend. The Proms span over eight weeks with daily concerts for all ages and musical interests. 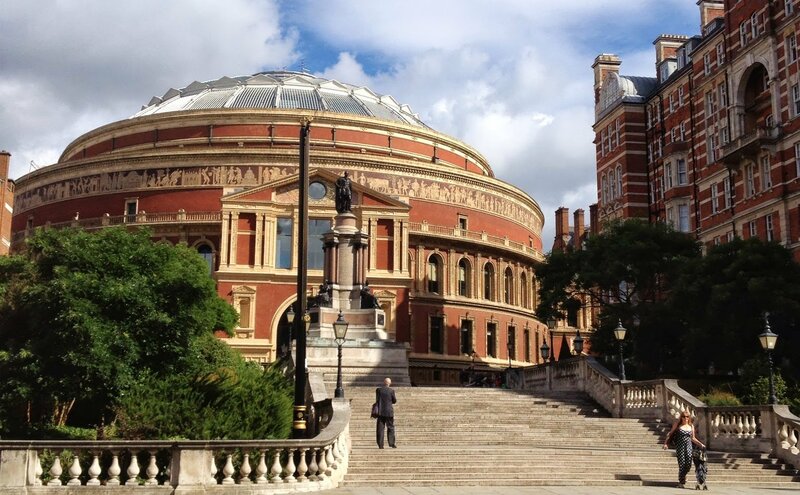 The main stage for the Proms is at the stunning Royal Albert Hall. Smaller concerts, lectures and special events take place at various venues around London. I enjoy listening to the BBC Proms televised and radio broadcasts, but have long wished to attend a concert. 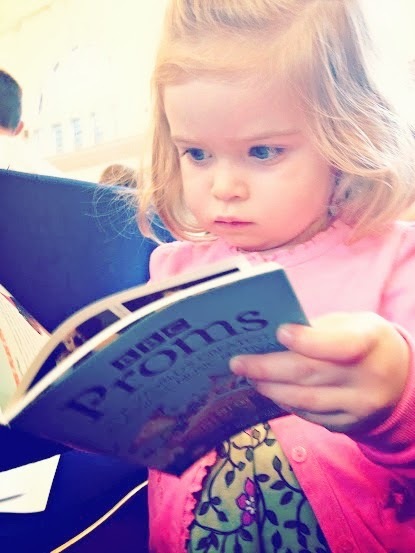 Much to my delight, a new Proms Plus Storytime for children ages 3-7 at the Royal College of Music coincided with our family’s cityscape last weekend. Having procrastinated and not researched scheduled events until the week prior, the Storytime concert had sold out. The silver lining: an additional 50 tickets were to be distributed at the door 30-minutes before the performance. I envisioned a serpentine queue of families winding the block from dawn’s first light. I pessimistically thought we would be 51st-53rd in line and just miss our Proms debut. Last Saturday night I decided if Ouisie woke early, despite the dark-out curtains in the Hotel room, we would queue for tickets. If she opted to sleep in, we would head straight to chase butterflies at the Natural History Museum. She did sleep in, until 8:30, leaving two hours to get there and be 3 of 50 extra ticket holders. We decided we had nothing to lose and scrambled to get showered and round up some snacks for Ouisie. 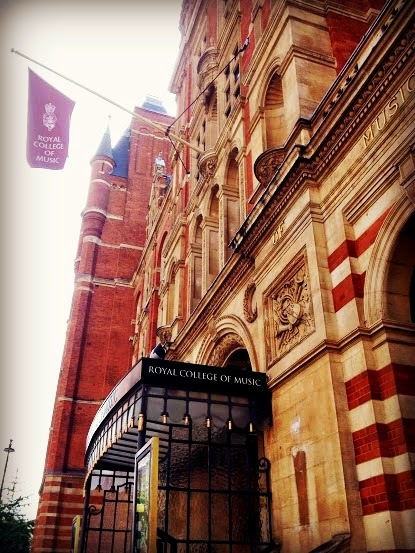 With just 30-minutes to spare, we arrived at the Royal College of Music. My fluttering heart calmed as I discovered we were among the first ten families. Our odds looked good. We queued for over an hour as the website had posted the wrong times. It was hard on the adults who had skipped breakfast, never mind the antsy children needing a loo! The long wait was soon forgotten once we had three free admission tickets in our hands (and access to a toilet). Acclaimed presenter, musical director and composer, Hannah Conway lead the musical journey based on Jon Klassen’s 2011 children’s bestseller I Want My Hat Back. Audience participation, both young and the old, was required through song, hand motions and special sound effects. The Britten Sinfonia brought the story to life through music with select instruments representing main characters from this bestselling children’s book. Chef and I mocked our aging brains, which struggled to remember the chorus’ refrain and keep up with the corresponding hand motions. Ouisie delighted in hearing the instruments and guessing which animal the bear (the main character) would meet next in the forest. An impromptu Hokey Pokey made her giggle, sing aloud and want more, more, more! There are a host of wonderful free concerts through Proms Plus and specific concerts with families in mind. Most of the free events require waiting in line for tickets and have unreserved seating, but are a great way to enjoy this British tradition. BBC Proms Proms in the Park expands outside the Royal Albert Hall to across the whole UK. In London, Hyde Park hosts the final evening to thousands who fill the parkland, while non-ticketed guests camp outside the gates to eavesdrop. On a glorious Indian summer’s eve– you want to be at this concert. The event quickly sells out, so pre-planning is strongly advised. If in London during the BBC Proms, go! With such variety of concerts, there is something for all to enjoy. ** The Proms Plus Storytime was recorded by BBC Radio 4 Extra for broadcast in The 4 O’clock Show on Monday 2 September. It will also be available for seven days after broadcast via the Radio 4 Extra website and the BBC iPlayer Radio app. Put it in the diary and enjoy listening at home with your kids next month! 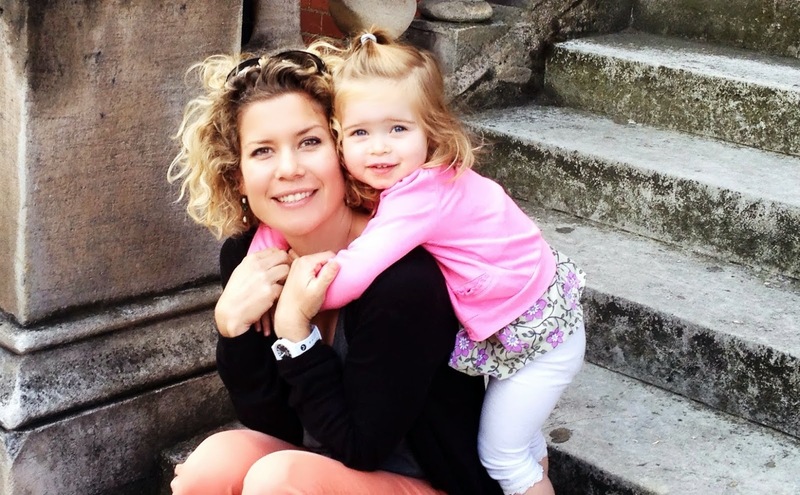 Adorable photo of you and Miss Eloise . . . you should frame it! What a fun outing. I'm so glad you persevered in trying to get tickets to this concert. Good job on the blog too!